Olxam » AAI » AAI (Junior Executive & Manager) Exam Dates Out. Check Now! 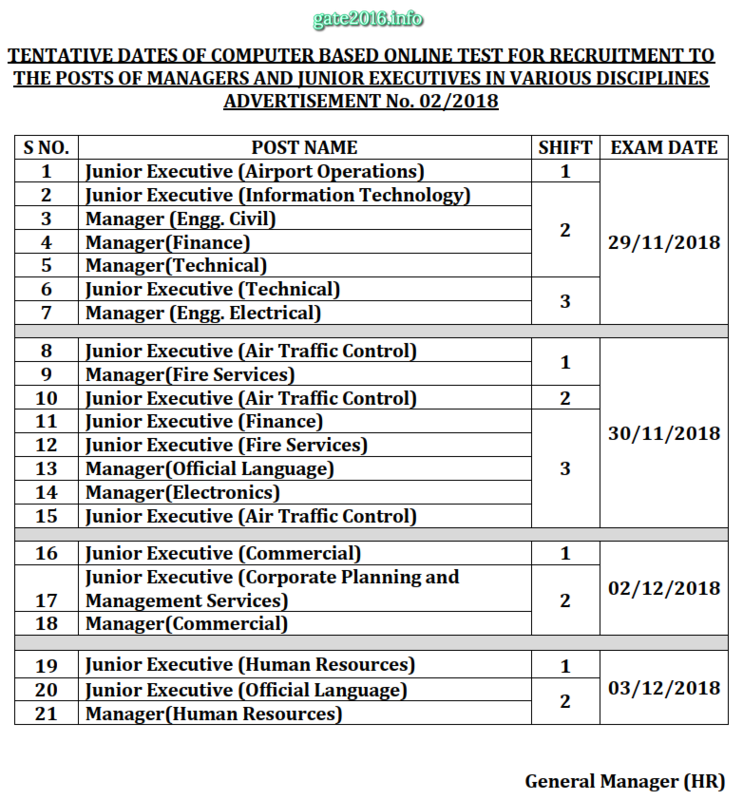 Airport Authority of India has released tentative dates for Computer Based Online Test for 908 vacancies of Junior Executive & Manager in Air Traffic Control, Fire Services, Airport Operations, Technical, Information Technology & Commercial discipline. AAI exam is scheduled on November 29, 2018, November 30, 2018, December 02, 2018, & December 03, 2018 2018. Admit card will be available to download from AAI official website from November, 2018 nearly for printing. You may download your admit card whenever you want to download just log in to your AAI (Junior Executive & Manager) exam account. AAI (Junior Executive & Manager) exam to be in the month of November-December, 2018. AAI (Junior Executive & Manager) exam is an online exam.